1) This contest is OPEN TO ALL METRO MANILA RESIDENTS ONLY. 2) LIKE MovieNews on FACEBOOK and/or FOLLOW US on TWITTER. 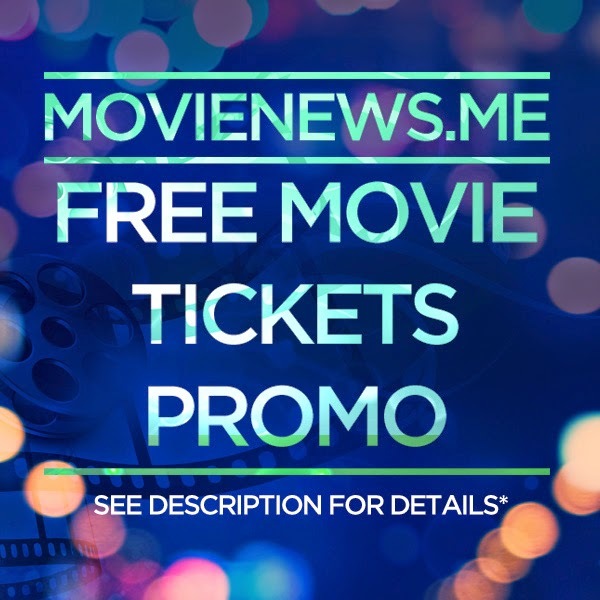 Facebook: "I want #freemovietickets from MovieNews.Me"
Twitter: "I want #freemovietickets from @movienewsdotme"
4) Get more chances of winning by posting on both on FB and Twitter. 5) Wait for the raffle draw in a few days. One winner will get two (2) FREE MOVIE TICKETS of your choice of movie from SM Cinema. Check MovieNews.Me FB page to see the promo poster.